Based on a conceptual analysis of marketing texts, particularly service marketing texts, and a case study of a service firm that utilizes approaches to managing organizations that have been developed within the boundaries of marketing, this book presents a critical examination of marketing as a managerial practice. 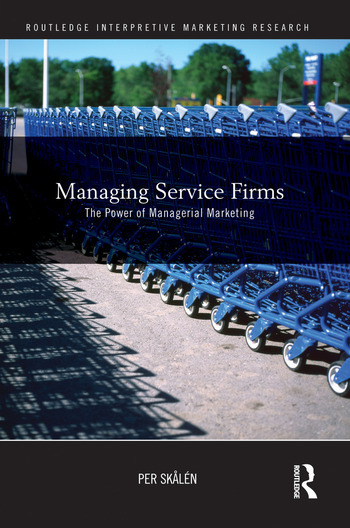 Skålén focuses in particular on the managerial research tradition and managerial practice referred to as service marketing (sometimes service management), which is seen as a ‘dominant managerial logic’ by many marketing scholars. Skålén analyzes the governmentality of service marketing through textual representations of managerial marketing and a case study of a service organization. Based on the former, the author argues that managerial marketing has always promoted and fostered customer orientation as the main governmental rationality and that this rationality in service marketing targets human beings more exclusively than previously. This book contributes to critical marketing research since this research tradition lacks studies of empirical responses to managerial marketing which articulate a radical social critique. Per Skålén is Associate Professor of Business Administration at the Service Research Center, Karlstad University, Sweden. He is the co-author of Marketing Discourse – A Critical Perspective (with Martin Fougére and Markus Fellesson), also published by Routledge.